Regulars here would remember our last month’s report on the new KTM Duke Street X2. Created by Pune-based Autologue Design, this kit allows you to modify your Duke 200 into a sharper-looking motorcycle that can rub shoulders with the 2017 Duke 390 in terms of aesthetics. Today, we have a video of the KTM Duke Street X2 that shows the stunning motorcycle in action. The Street X2 kit is priced at Rs 12,946. The customiser claims that this kit can be installed by anyone within just 20 minutes. 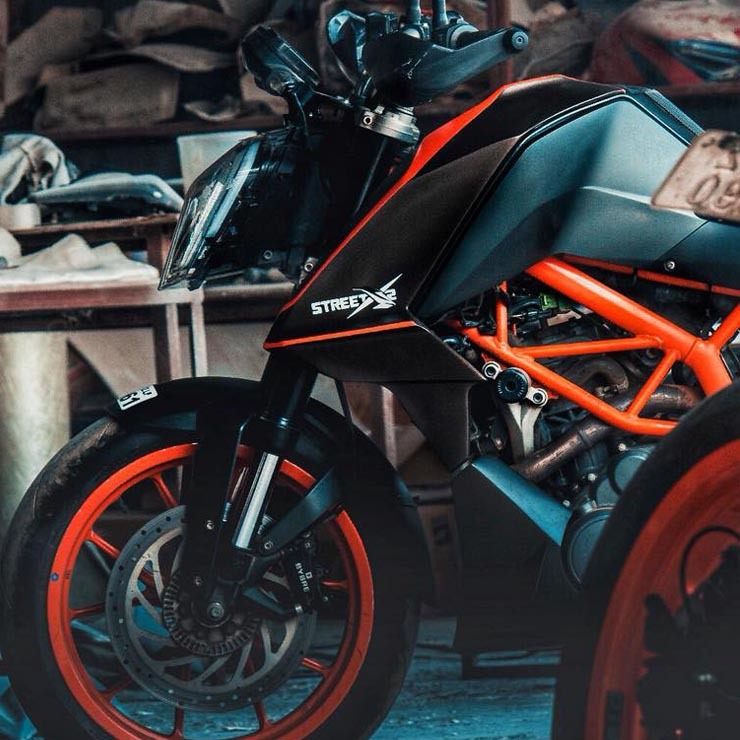 The body kit comprises of many parts that seem to have taken inspiration from the latest Duke 390. The new parts include a new headlamp from the Duke 250, bold tank extensions, new engine cowl and a bigger radiator protector. You also get a new tailpiece that looks sharper and more attractive. You can also purchase a tail tidy kit, a tire hugger and a seat cowl by paying extra. Moreover, you can also order these parts in the colour of your choice. This means you can buy these parts in the existing paint scheme of your motorcycle. All the custom parts are bolt-ons and can be removed quickly, whenever required. Hence, the parts won’t void any warranty or affect the resale value of the motorcycle. The new panels not only make the Duke 200 look a lot like its bigger, pricier sibling but also enhance the design by several notches. The Street X2 panels are also available individually, which means a customer can pick only select panels without purchasing the entire kit. For example, one can buy the custom tank extensions for Rs 5,999, the engine cowl for Rs 4,500 or the new tailpiece for Rs 4,500. The parts can be shipped to the customer’s home and come with an installation guide. 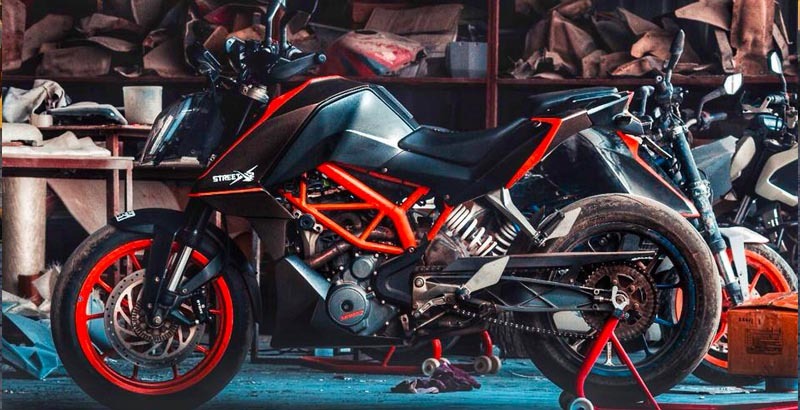 We must say, that the Street X2 is the best styling kit for the Duke 200 that we’ve seen so far.